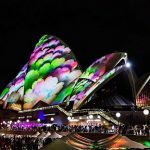 Australia’s largest event, Vivid Sydney, was awarded Best Tourism Event at the Australian Event Awards on Wednesday night, capping off another impressive year for the festival of light, music and ideas which celebrated its 10th anniversary in 2018. NSW Minister for Tourism and Major Events Adam Marshall welcomed the accolade and said it was another NSW coup for major events. 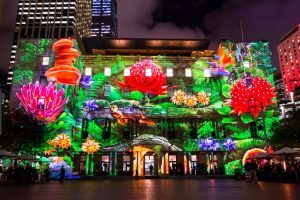 “NSW is without doubt Australia’s premier destination for major events and this award demonstrates that the NSW Government’s commitment to presenting a world class calendar of major events is paying dividends,” Marshall said. 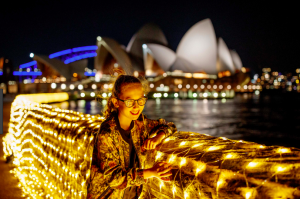 Owned, managed and produced by Destination NSW, Vivid Sydney has become a hallmark event for the state that has defined Sydney’s cultural identity and completely reinvigorated traditionally quiet Winter trading and tourism periods. The Australian Event Awards and Symposium is the national awards program and conference for the Australian events industry, fostering continued excellence, innovation and unity. A list of 2018 winners can be found at www.eventawards.com.au/results.